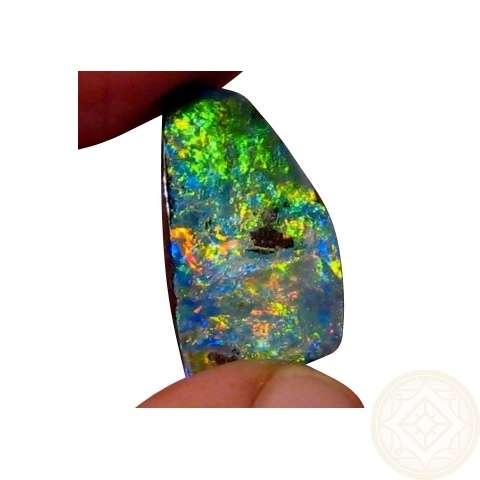 A big Boulder Opal weighing almost 16 carats showing extremely bright Red, Blue and Green. 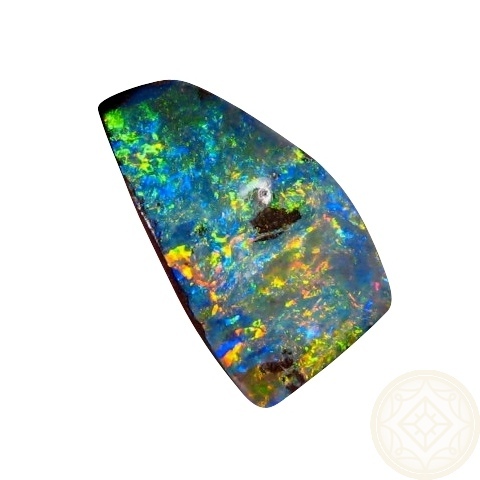 This Gem Boulder Opal has been cut to a free form shape to best show all the brilliant colors. 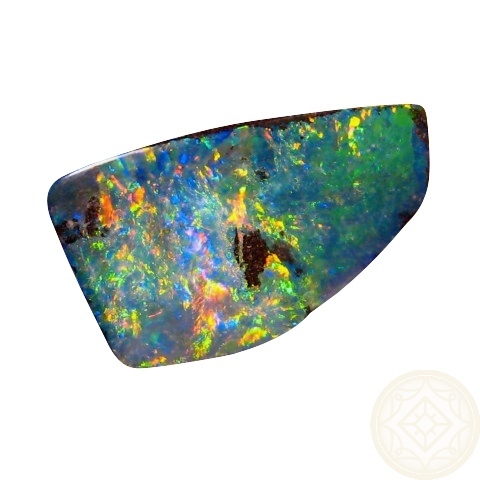 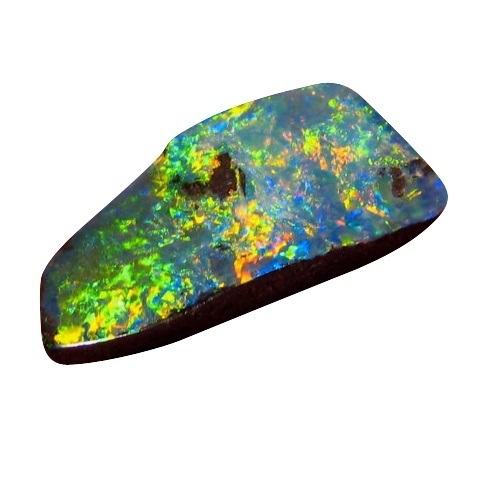 A large stone at 15.8 carats with Red, Blue and Green colors over the entire face of the opal which is not flat but concaved like most Boulder Opals are. 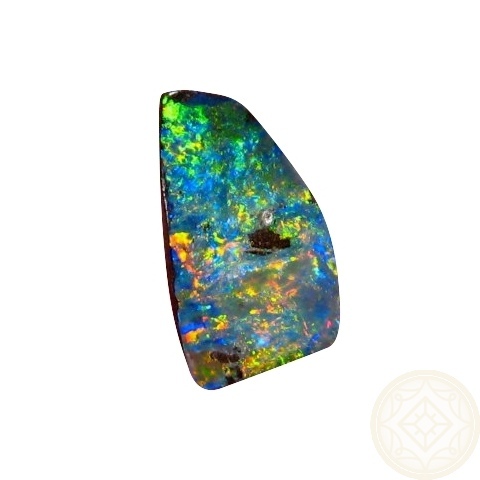 You can have this set into a Custom Design piece of jewelry or add to your collection of large Boulder Opals.